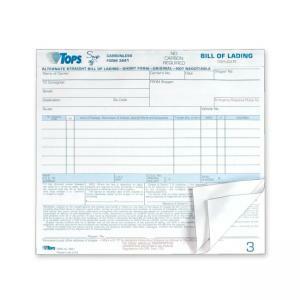 Bill of Lading Snap-off Sets have carbonless white paper. 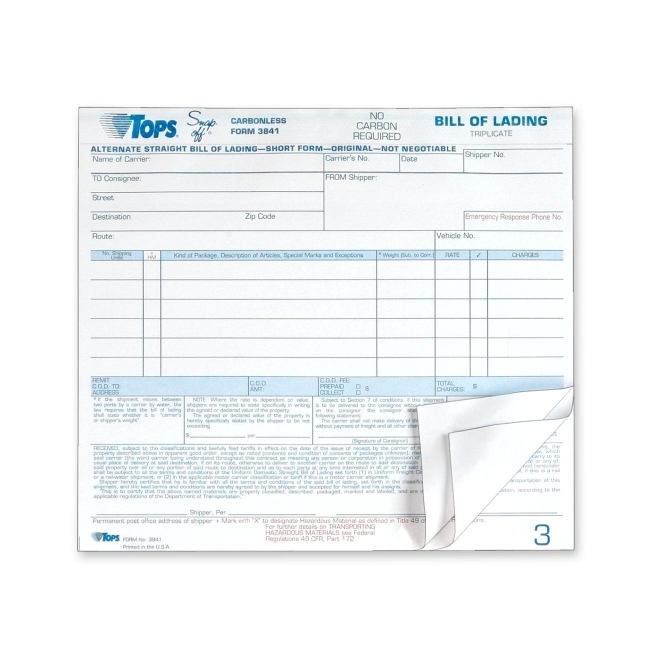 Original bill is printed in blue. Hazardous material information is printed in red.